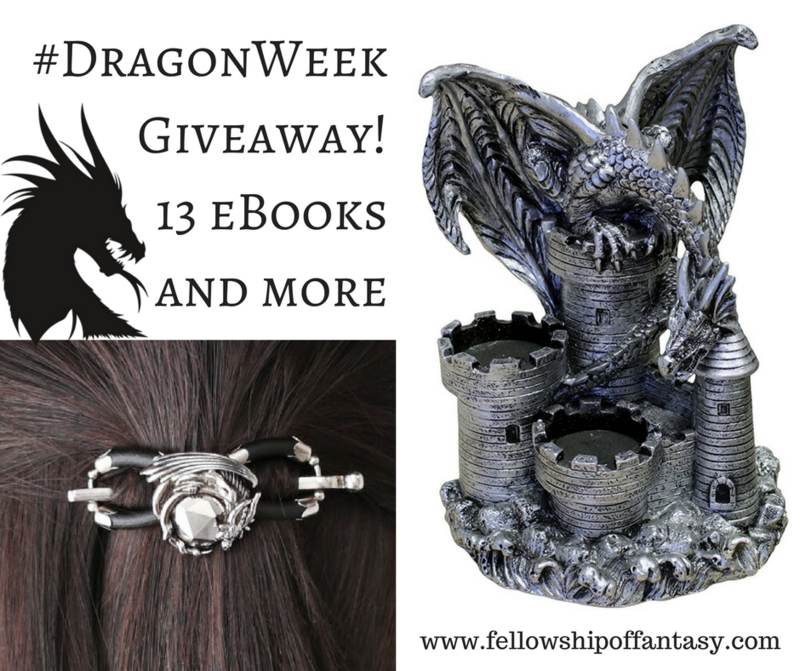 The Fellowship of Fantasy is taking over shark week to celebrate the true top predator: DRAGONS! As lovers of all things dragon, we are giving you a chance to win this awesome set of dragon prizes: a dragon candle holder, a dragon hair clip, and a collection of 13 dragon centric ebooks by the awesome indie authors of The Fellowship of Fantasy. I'm excited to enter! My favorite dragon I can't remember the name of, but he's from Dealing with Dragons. 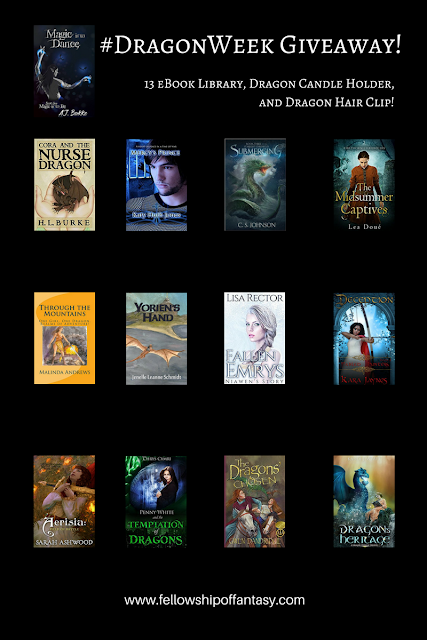 I don't know if I have a favorite dragon- maybe Rigidor from the dragon keeper chronicles. I did recently learn of an interesting dragon - Opsie the purple OPSEC dragon. Dragons guard their treasure and Opsie guards information. Snazzy. There are librarian dragons too with book hoards. Seems a poor mix with fire breathing.